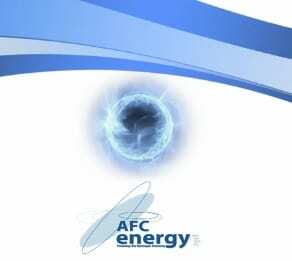 AFC Energy, a leading developer of fuel cells, has reached a new milestone in terms of energy generation through its KORE fuel cell power plant in Stade, Germany. The power plant makes use of alkaline fuel cells that have been developed by AFC Energy as part of its KORE line of products. According to the company, more than 200 kilowatts of electrical power have been generated by the power plant. Fuel cells are becoming a more viable option for those interested in renewable energy. These energy systems come in a wide variety, with AFC Energy having acquired strong praise for its use of alkaline fuel cells. These fuel cells are among the oldest and most developed of any fuel cell system. They consume hydrogen and oxygen to produce drinkable water, heat and electricity. These fuel cells are famously efficient and the least expensive to manufacture of any other fuel cell system. According to AFC Energy, the data collected from the KORE power plant shows that its fuel cells could operate at a higher energy capacity than initially believed. The company now plans to optimize the power plant with a second generation fuel cell system, which is expected to be installed later this year. The milestone may help draw more attention to AFC Energy’s fuel cells, allowing it to find more commercial success in the coming years. Fuel cells have become quite popular in the transportation sector recently, but they have been used in several industrial sectors for decades. Notably, alkaline fuel cells have been used by NASA since the 1960s. The agency made use of these fuel cells for its Apollo-series of missions, noting that these energy systems were more efficient and reliable than other energy solutions that were available at the time. The relatively low cost of alkaline fuel cells also makes them more attractive to those interested in clean power.